Universities are under pressure. All over the world, their resource environment is evolving, demands for accountability have increased, and competition has become more intense. At the same time, emerging countries have become more important in the global system, demographic shifts are changing educational needs, and new technologies threaten, or promise, to disrupt higher education. 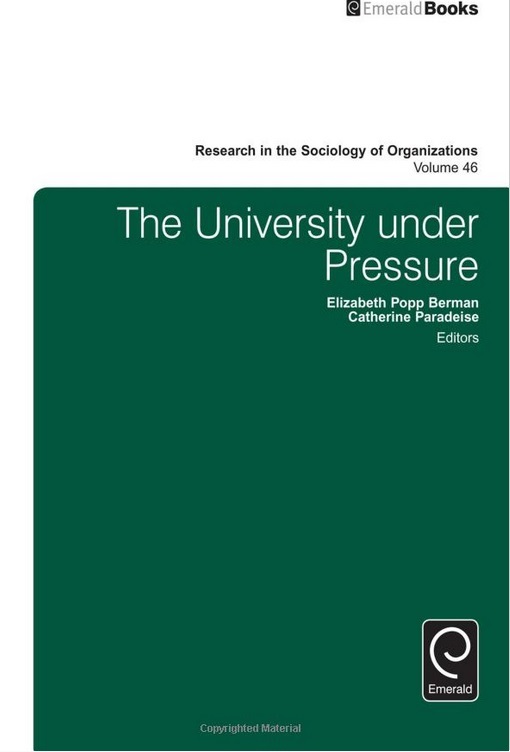 This volume includes cutting-edge research on the cause and consequences of such pressures on universities as organizations, particularly in the U.S. and Europe. It provides an empirical overview of pressures on universities in the Western world, and insight into what globalization means for universities and also looks at specific changes in the university environment and how organizations have responded. The volume examines changes internal to the university that have followed these pressures, from the evolving role of unions to new pathways followed by students and finally, asks about the future of the university as a public good in light of a transformation of student roles and university identities.